Five musicians from New Jersey communities believed in their dream and used their talents to form Bon Jovi, one of the most famous, enduring rock bands of all time,” Murphy wrote in a formal declaration of the holiday. The move was a surprise to band members Jon Bon Jovi, David Bryan, Tico Torres, Hugh McDonald, Richie Sambora, and Alec John Such in attendance. Bon Jovi were part of a number of campaign fundraising events for Murphy, who lives in Monmouth County near the Jersey shore. 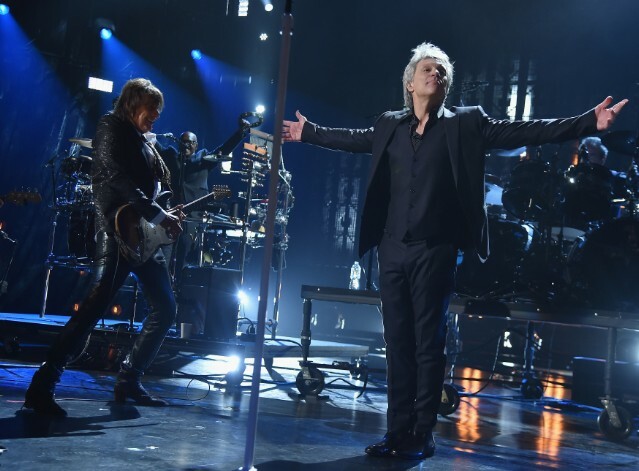 Bon Jovi were inducted into the Rock and Roll Hall of Fame along with The Moody Blues, Dire Straits, The Cars, Nina Simone, and Sister Rosetta Tharpe. The ceremony will be broadcast May 5 on HBO.